Kate Lee’s passion and dedication has afforded her great respect in the music community as a vocalist, instrumentalist, and songwriter. Whether performing her original material or backing up a major entertainer, Lee brings a wealth of stylistic understanding and a unique, discerning sense of phrasing to both the stage and studio. She is an energetic young woman with extensive musical scholarship and experience. Along with her recording projects with Wisewater and the O’Connor Family Band, she also has recorded several solo albums, the most recent of which was produced by Kris Wilkinson and featured some of Nashville’s top session musicians, including Bryan Sutton, Viktor Krauss, John Gardner, Gary Prim, and Tim Lauer. 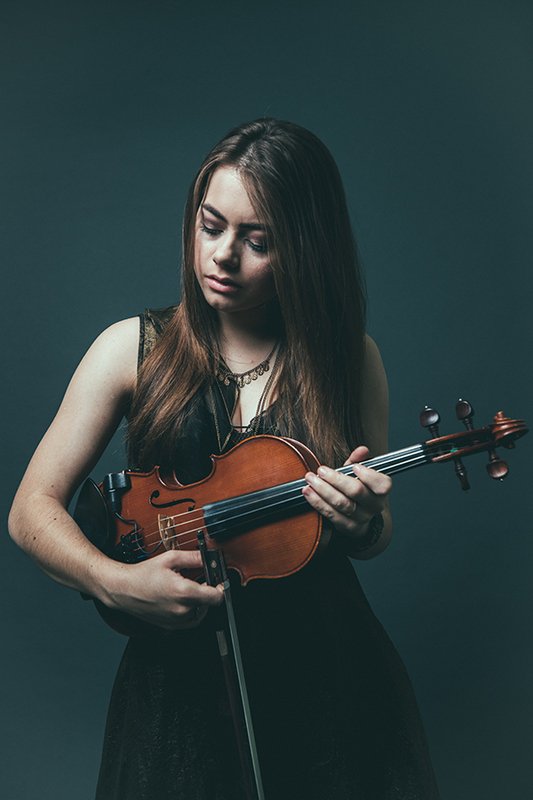 She has played violin and sung background vocals for many world-class entertainers, including Rod Stewart, Keith Urban, Kelly Clarkson, Vince Gill, Sugarland, Amy Grant, Trace Adkins, Lady Antebellum, Jake Owen, Mary J. Blige, Darius Rucker, Rascal Flatts, Lucy Hale, Little Big Town, Katherine Jenkins, Idina Menzel, Martina McBride, Brad Paisley, LeeAnn Rimes, Alan Jackson, Sara Evans, Carrie Underwood, Lauren Alaina, Scotty McCreery, Dan and Shay, Michael W. Smith, Mark O’Connor, Mary Gauthier, Kathy Mattea, Alison Brown, John Cowan, Claire Lynch, and Emmylou Harris. She currently resides in Nashville, Tennessee and is a founding member of the Americana duo Wisewater along with Forrest O’Connor, and is a member of the Grammy Award winning Mark O’Connor Band.